My re-reading the entire run of Marvel Fanfare this past week has me energized about a lot of characters that were prominently featured around Marvel’s 25th anniversary. 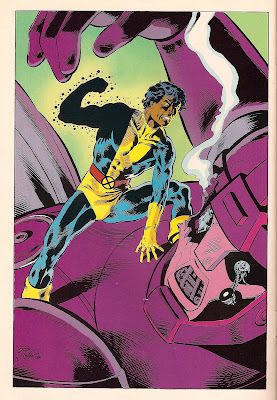 The images from today’s post come from Marvel Fanfare #27 and are drawn by New Mutants co-creator, artist Bob McLeod! Click on the artwork for the actual size of the scans. Above, Danielle Moonstar communes with nature. 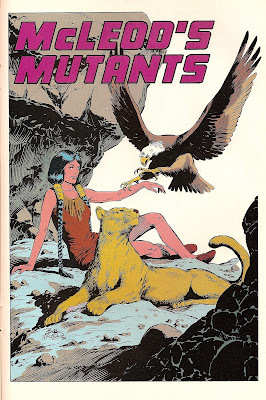 The former co-leader of the New Mutants looks positively divine as befits a character who went on to become a Valkyrie! 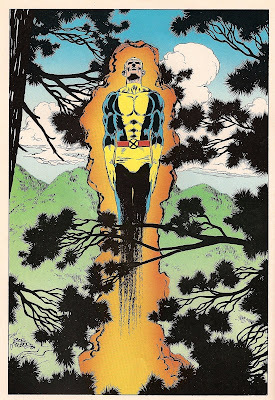 I would love to see that power returned to her in the recent relaunch of the New Mutants (written by Zeb Wells). Here’s Cannonball, the other co-leader of the team, blasting off in the forest. I love the composition of this piece. The tree branches serve as a framing device, spotlighting the kinetic powers of good ol’ country boy Sam Guthrie. 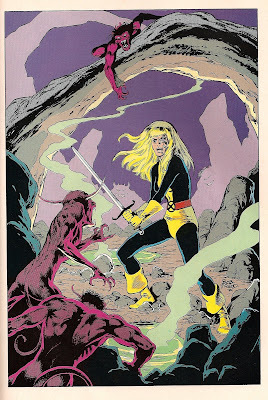 Magik stands defiant, fighting demons in Limbo with her soulsword. McLeod gave Illyana Rasputin a fierce demeanor befitting her warrior self. 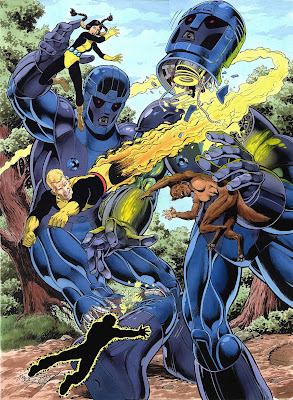 The above image is a commission by Bob McLeod that I found while lurking on the X-Men Message Boards of Comic Book Resources. There’s always some interesting discussions to be found there. Check back for more amazing pinup goodness as I post my favorite artists drawing my favorite characters from the pages of Marvel Fanfare!